Last October I sailed a boat that I’ve admired for some time, the Delaware Ducker. As a child, my family cruised from Norfolk, VA to St. Michaels, MD nearly every summer. I recall on one visit following my mother across the lawn of the Chesapeake Bay Maritime Museum. It was a grey day and the swollen Miles River edged up into the outbuilding displays. At 11 or 12 years of age, the smaller boats exhibited fascinated me. You could dream of maybe owning one. A drab green punt version of the Ducker must have caught my attention. I’d almost swear to it. This smart skiff exudes adventure easily enticing a little boy’s wanderlust. 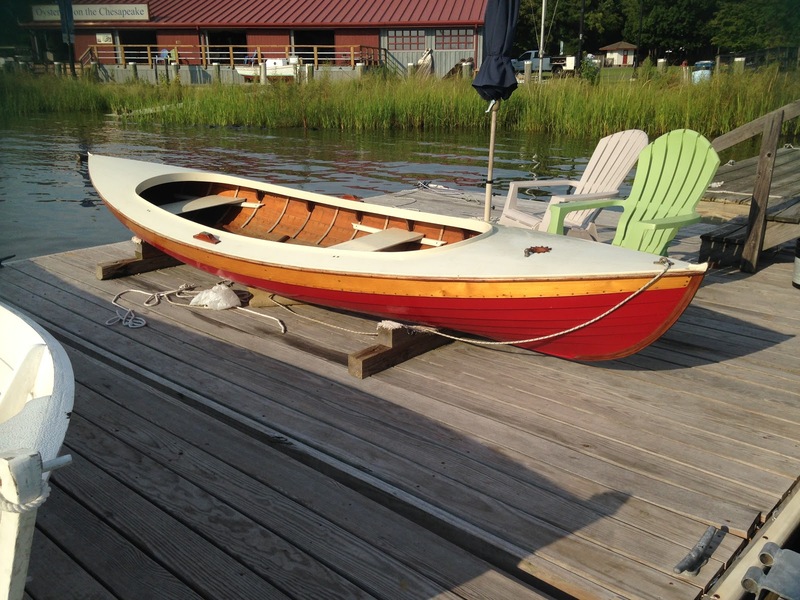 Likely developed from canoe traditions, this light clinker built skiff is perfectly symmetrical fore and aft. The bow is identical to the stern. Long ago very common to the shores south of Philadelphia, hunters employed the craft to chase rail birds in the marsh. An understated beauty from the 1800’s , it quickly stuck in my mind when we were reacquainted on a solo cruise maybe 3 years ago. To sail one would be fantastic. The boat looked “right”. The chance did present and I was enthralled with the boat’s lively performance while sailing and rowing. It seemed like a Laser in disguise. Soon after I purchased plans of the two versions documented best. As a “vernacular” skiff, there are undoubtedly many other variations, but the now known “Greenbriar” and “York” are well documented. Save for 2-3 originals in museums on the East Coast, the hundreds of others have likely dissolved. We can be grateful a few people sought to preserve these simple lines and now those who wish can build a replica, can. No one has promoted the Ducker more than Ben Fuller at the Penobscot Marine Museum. He wrote several articles on the vessel for WoodenBoat while curator at the Mystic Seaport Museum. Ben in fact owns a Greenbriar in his gaggle of small boats. I’ve read and reread his articles, stared at my photos of the Greenbriar at the in St. Michaels, MD, and lofted both designs in the computer. Frankly, I’ve been haunted by the boat for some time. Sailing one may have put me over the edge. Shoot, that may be as good a reason to build one as any. Doing so may make me officially a sucker for double enders. Seeing this one trailing along in the wake of our Rozinante “Luna” is not a stretch. The design may be a descendant from native American canoes. The construction certainly is reminiscent of them. Or, maybe its salty lines were borrowed from old norse faerings ancestors. Like an Inuit kayak, the Ducker’s lines have a strength and beauty derived from practical evolution and the hands of countless builders to present a charm hard to master. Still, there are enough differences in the two plans I possess that I decided to make a study of it. Overlaying the drafts in the computer showed the Greenbriar to be 3″ longer, 2″ thinner in beam, a fuller bow in section, but slacker bilge amidship. The York likely has more initial stability and resistance to heeling, but the Greenbriar should row and slip through the water more easily with her thinner waist. 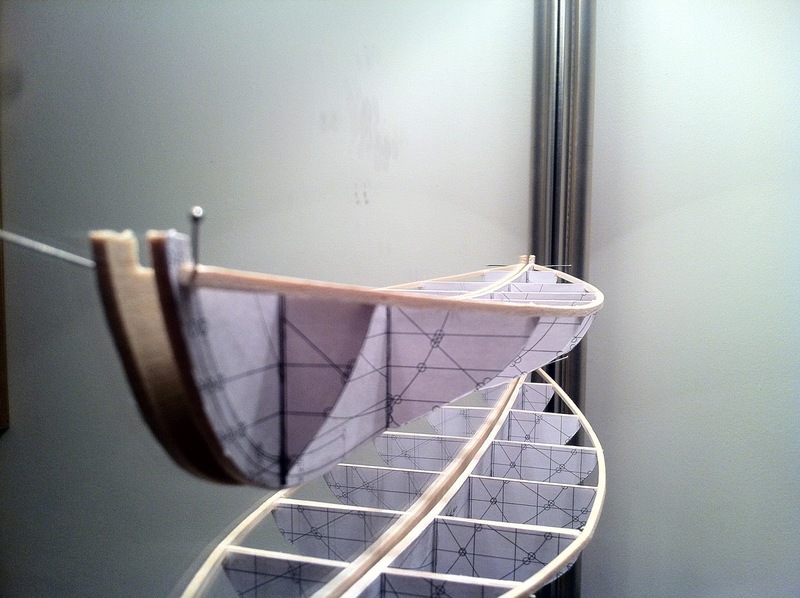 With paper and balsa, I glued quick models using the stations and elevation for further study. 1″ to 1 foot scale models: Greenbriar over York. I canvassed the household for their opinions on which boat was favored. It was a tie. No help there. The York appears more elegantly dainty. The Greenbriar seems quietly confident in her beauty, more of a pony than thoroughbred. Is this a decision? 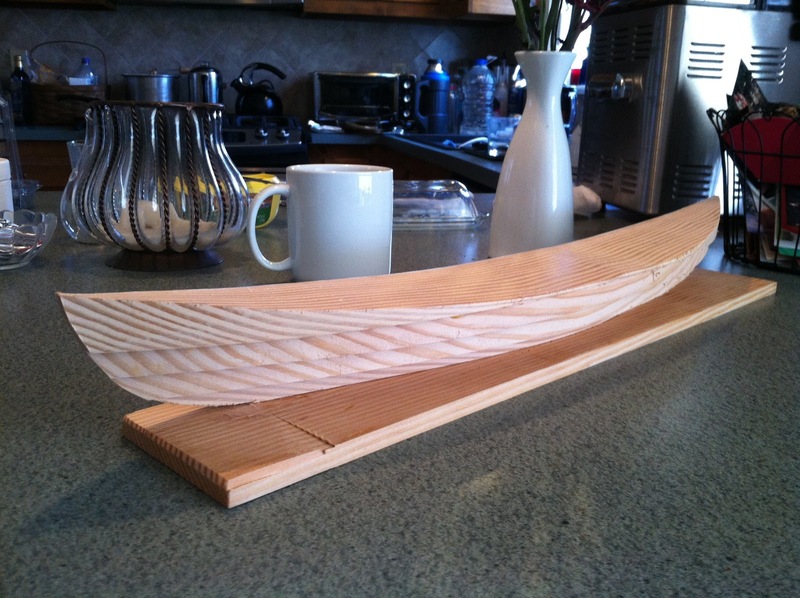 Perhaps, but I’ve always admired carved half hull models, have wanted one for my office, and have now begun a 1 1/2″ scale version of the Greenbriar. 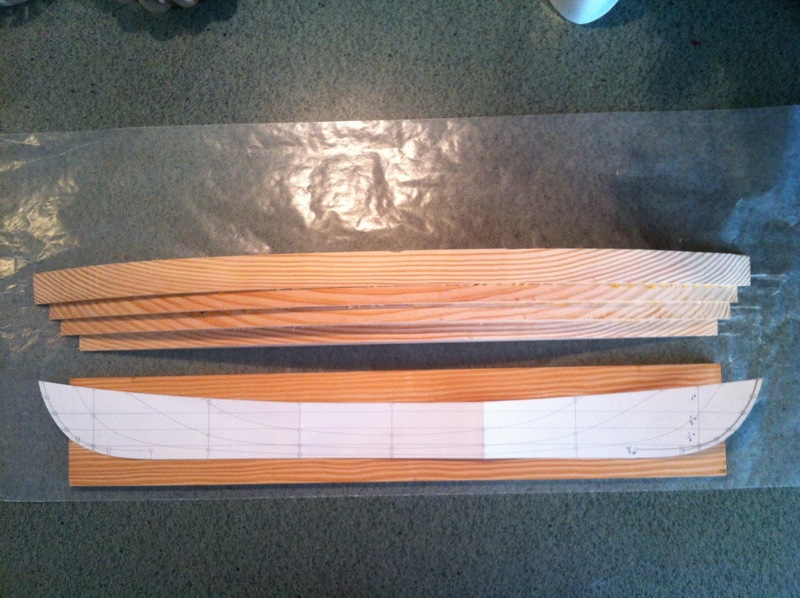 Its sides will not be clinker, but rounded even though I doubt I’ll build in either carvel or strip. 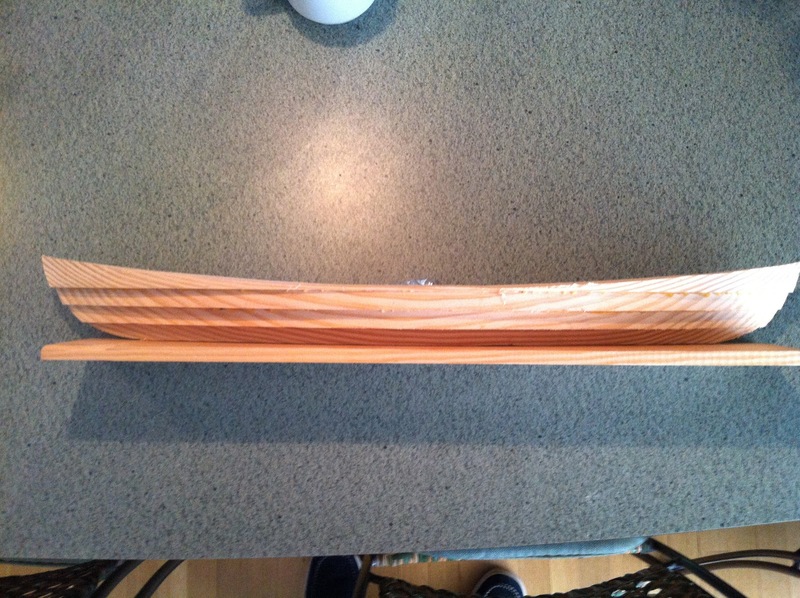 Note if your model is to be 24″ long, make sure the wood or lifts are not 22″! Yeah, now I’ve wood for a second half hull. Dumb. Consider it material for a future opportunity. That, and heed the “measure twice” adage. I won’t get into the “how to’s” of this form of model building. I’ve proven I may not be reliable there. Many sources are available. 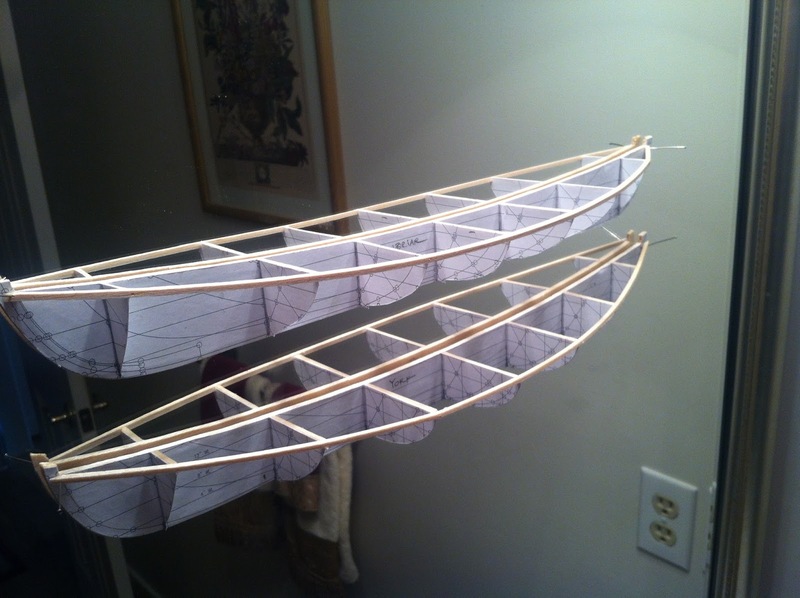 Anyway, here are some progress shots of the Greenbriar half hull. Elevation tacked to back of half hull. Seems like errors are par for the course today. 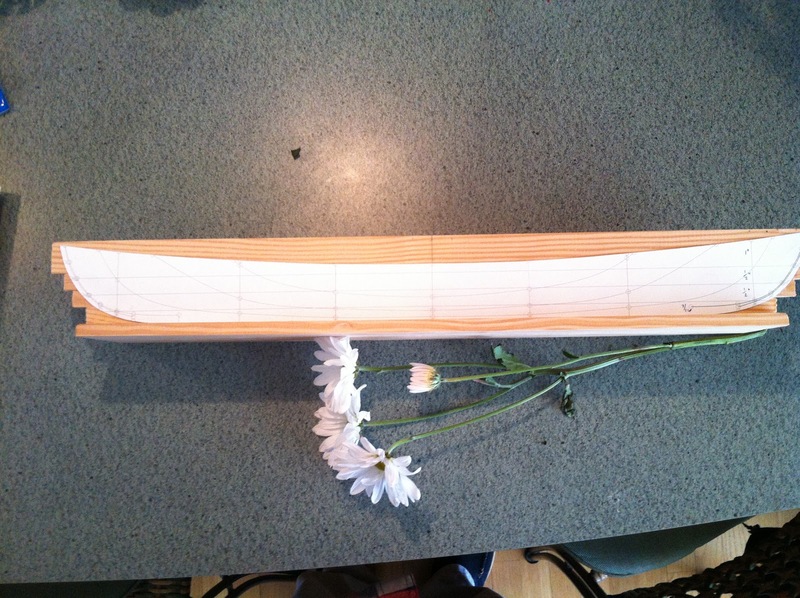 Lowering the elevation pattern to avoid cutting the keel (will add later with stems) took too much out of the shear. Tunnel vision run amok here. Well, looks like another opportunity. 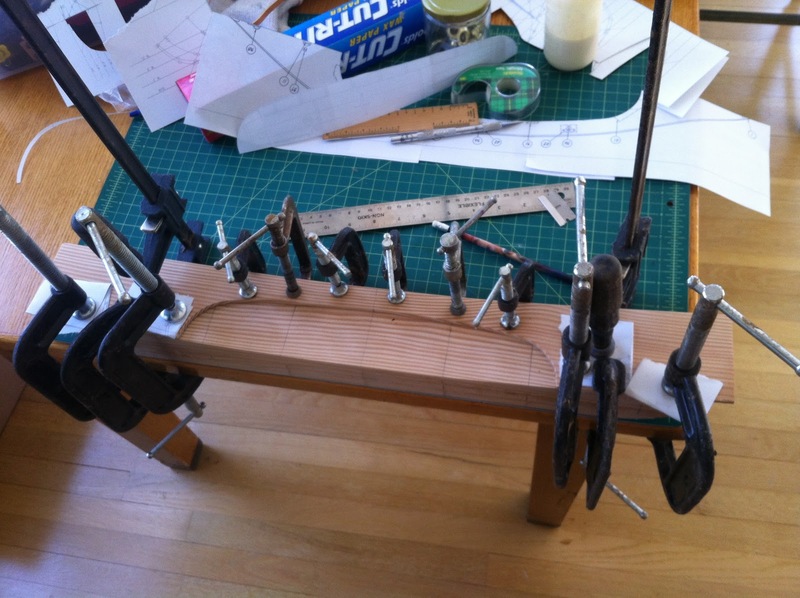 Adding the wood back as deck allowed for illustrating the cockpit. 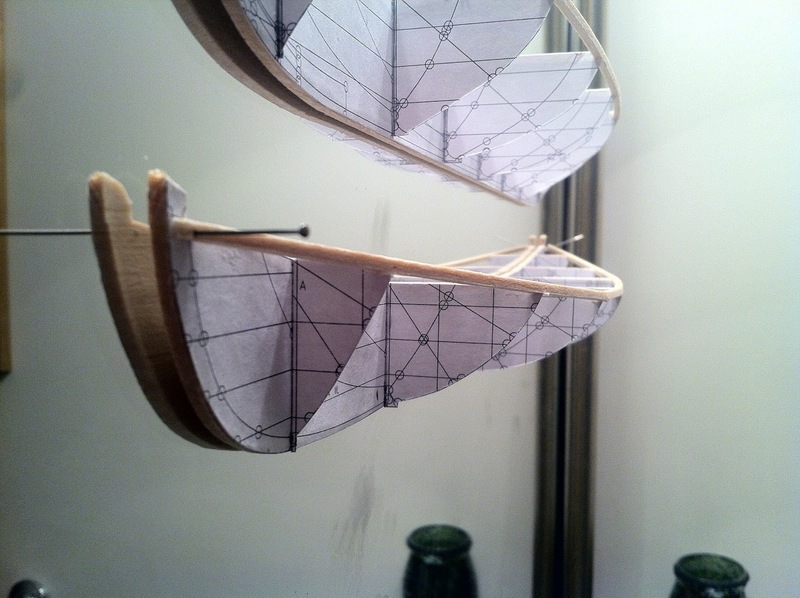 I am not aware of any three-dimensional exemplars, but it looks like a very handsome hull. Correct, and I have both the book and the drawings, but that version is not as well documented in terms of details. The WPS boat favors the Greenbriar most. Thanks for the reminder!